The stable door had been open for a good while before News Corporation tabled its bid for the 61 per cent of BSkyB it did not already own, writes Martin Moore, director of the Media Standards Trust. As I have already posted elsewhere, this is not a done deal.First, Hunt’s decision could be subjected to judicial review,and overturned.Second,Newscorp may not offer what the institutions want,£9/share.Third,future revelations re phone hacking may be too much for everybody.This will run for 6-9 months. Excellent points, Martin. At this rate, the much needed changes to the law will probably be far too late for this deal(assuming it does go ahead, further to William’s points above). and too little for the future. What’s needed is a comprehensive review of ownership rules and regulation right now, which can pave the way for retrogressive adjustments. This is why we at DemocracyFail have been campaigning for a media commission. Don’t quite share your view about the BBC’s prospects, however. The way BSkyB is building up already, with Sky Atlantic etc, I can only see this diminishing the BBC, which will be increasingly unable to compete in the commercial market. Whatever Jeremy Hunt may say about the sancitity of the BBC, a broadcaster told to use the word “savings” instead of “cuts” is clearly not a huge favourite with this government. Murdoch conceded more in this bid than he would’ve liked, though- in the event of a successful takeover (not a done deal, Newscorp will have to offer substantially more than 700p a share), he has to spin off sky news, which can’t have newscorp employees on the board. 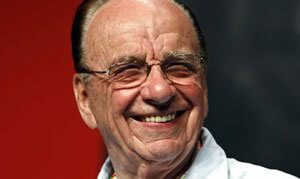 Newscorp will retain its’ 39% share, which means Murdoch will have a vested interest in its’ success. This is a man who has tainted a number of so called democracies to such an extent that all political parties in those countries put forward right wing “pro business” policies to consolidate the position of a very small and increasingly wealthier elite. william, I hope you’re right. With regard to the BBC, as I said last night I think critics of the BBC who support this deal are absolute hippocrits. it’s not often that I agree with Guido, but on this occasion I think he put it perfectly.